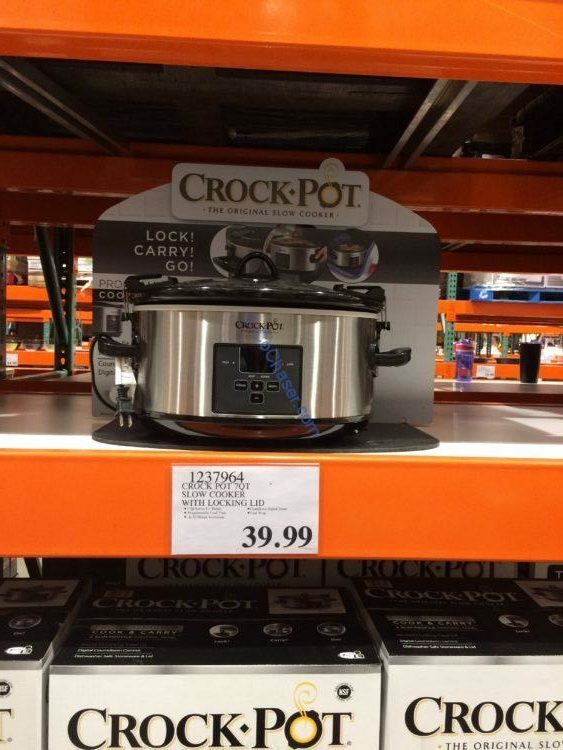 Get your cooking done in a timely manner with this 7QT Slow Cooker with Locking Lid, Model#SCCPVLF710-S from Crock-Pot. This slower cooker has an easy locking gasket lid that will help you get to your final destination without making a mess. It will keep food safe on-the-go with hinged locking lids and carrying handles.The capacity is perfect for 8+ people. The programmable time settings that accommodate varied cooking needs and time constraints.